A bank of twelve lockers (11 with keys) from Ansett Airlines. $390. Good condition. 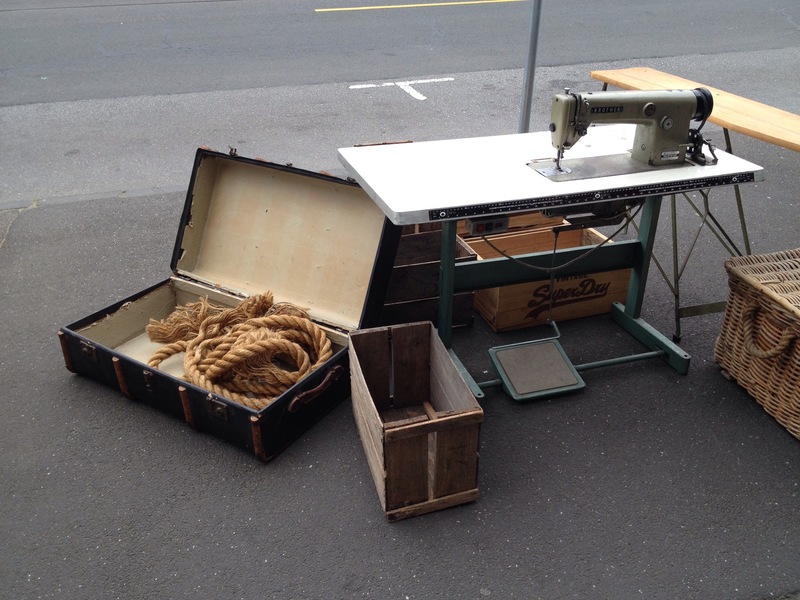 Industrial sewing machine and work table $295. 1940’s ironing board $89 and various crates and boxes. $29 to $89.